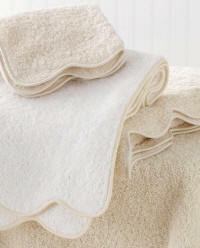 Considered the finest Egyptian Cotton terry on the market today! This range of luxury bath towels are all custom constructed and finished with an applied piped edge in the color of your choice. Prices below include the selected monogram. Borders: For border color matching, send us a fabric/paint/wallpaper sample to receive fabric swatches. 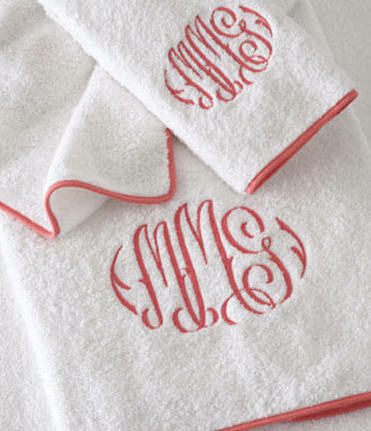 Monogramming : Choose your monogram selections below. 'Olivia' monogram shown.